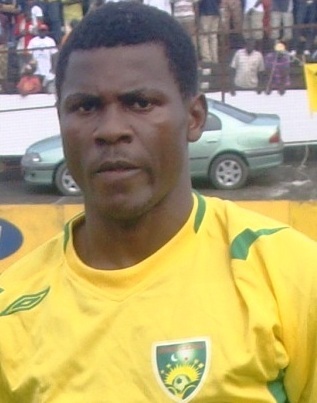 Below is a list of top goalscorers in the MTN Elite One 2010-2011, the highest level of football in Cameroon. The teams have currently played 12 matches. Please notice that the list only includes documented goals. I am currently missing two goalscorers for Ngaoundéré University FC, one goalscorer for Panthère Sportive du Nde, two goalscorers for Sable FC de Batié, two goalscorers for Scorpion de Bé and four goalscorers for Tiko United FC. There are several interesting names on the list. Hilaire Momi from the Central African Republic was presented in my post from 10.10.2010, Otélé Landry Mouangué in my post from 21.12.2010 and Valentin Biloa in my post from 31.01.2011. 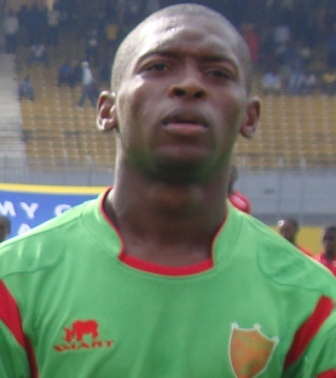 Joseph Julien Momasso (born 09.12.1985), a brilliant left-winger, was recently included in the squad of the Cameroon national football team. The picture is of Momasso and is taken from Le Chabba.